Adjust the Gradient arrows to modify the colours. 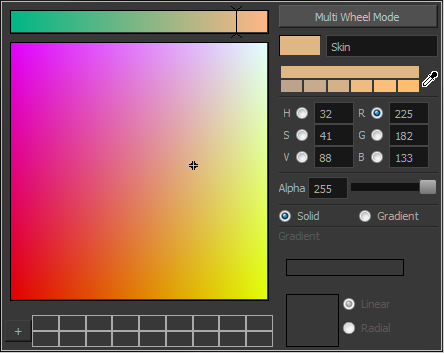 Add extra colours by clicking between the arrows below the gradient bar. Then click on the Colour Preview to select a colour. Pull down the arrows to remove them. Move the arrows left and right to modify the gradient distance. NOTE: To learn how to reposition the gradient zones in your drawings, see About the Edit Gradient and Texture Tool.